External activity | Yane Calovski | The art of housekeeping and budgeting in the 21st century| curated by Elke Krasny and Regina Bitter | Oskar Schlemmer Masterhouse, Stiftung Bauhaus Dessau | from 12.06.2015. How can we live in a healthy and economical way – now and in the future? The Haushaltsmesse at the grounds of the Masters’ Houses provides answers – from a creative, artistic, research, historic, and activist perspective. Starting from 4th May ten international artists and design collectives – among them Yane Calovski (Macedonia), produce their contributions on sight at the Masters’ Houses. From 12th June to 9th August the completed Haushaltsmesse will be on display: together with the art pieces an Archive Room and a Study Space – a place for experimental household research – will be exhibited. The houses once designed by Walter Gropius for the Bauhaus masters – seen in the 1920s as showcases for the modern way of living and housekeeping and now UNESCO World Heritage sites – will thereby serve as a point of departure for the investigation of the art of housekeeping and budgeting in the 21st century. In question are new housekeeping, budgeting, sharing, and economic strategies. Unlike the trade fairs and large-scale exhibitions of the modernist era, which publicly addressed household issues as early as the 1920s, the Haushaltsmesse on the grounds of the Masters’ Houses should not be regarded as an exhibition of individual objects. Here, the household is exhibited – or, rather, addressed – as a “modus operandi”: it is less about the presentation of technologies and objects in the household than about the practice of housekeeping. 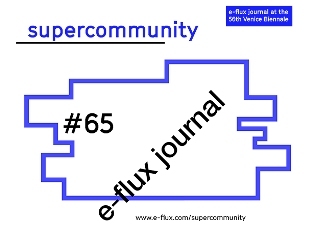 e-flux journal has been invited to participate in All The World’s Futures — the 56th International Art Exhibition: La Biennale di Venezia. For their contribution they created a single issue of the journal spanning four months from May to August, with one piece of writing released each day. 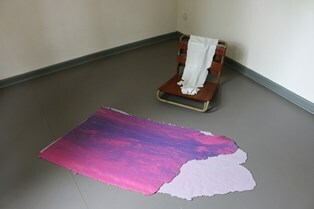 During the priod April - June, 2015, Neda Firfova is taking part in the Artist in Residency Programme of the Austrian Federal Chancellery in cooperation with KulturKontakt Austria in Vienna. She is working on a project that explores Baroque as a utalitarian power style in relation to the ongoing debate concerning the project Skopje 2014 and its labelling as Baroque. The project will be presented at the Austrian Federal Chancellery Headquarters in Vienna in June, 2015.